The latest thrilling fantasy-adventure live-action independent remake of “The Little Mermaid” is inspired by Hans Christian Andersen’s novel that stars British actress Poppy Drayton (Downton Abbey), William Moseley (Chronicles of Narnia, The Royals), Loreto Peralta, Armando Gutierrez and Shirley MacLaine. First published in 1837 about a mermaid’s sacrifice for love, the latest adaptation of “The Little Mermaid” is a brand new take on Anderson’s timeless tale, written and directed by Blake Harris. 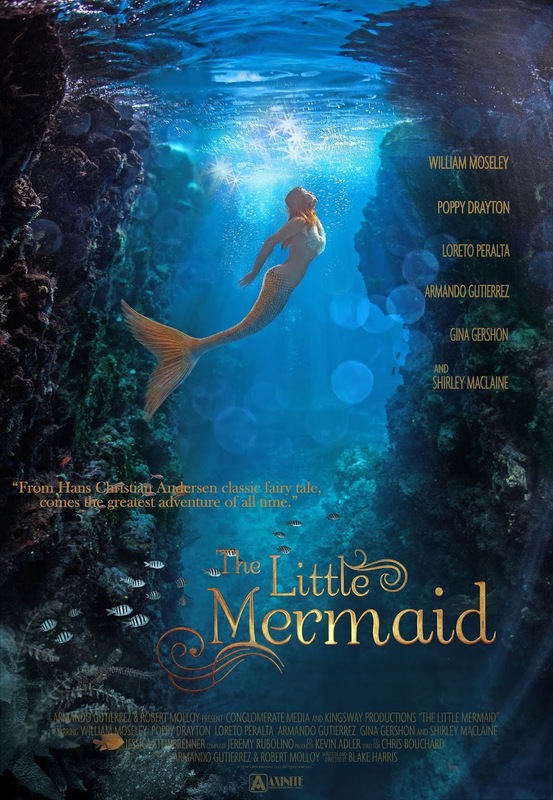 Produced by independent studios Kingsway Productions and Conglomerate Media, “The Little Mermaid” unfolds with an old grandmother telling her two granddaughters the story of a fascinating beautiful mermaid. William Moseley stars as a reporter who started following a story about a mermaid and a magical healing water. Together with his sick niece, they travel to a small town in Mississippi to uncover a legend. There, they go to a circus and encounter a beautiful mermaid trapped in a glass tank. They are further amazed when the mermaid appears before them as a young woman with legs. Drayton, who stars in the titular role said in previous interviews that she’s hugely fascinated with mermaids. Moseley who has visited the Philippines previously said in local interviews that the movie didn’t have the same budget as Disney’s but that it’s also a film with a lot of heart. A very different “The Little Mermaid” splashes in Philippine cinemas nationwide on August 8 from Axinite Digicinema.